Real estate is a sector which generates second highest employment and contributes approximately 5% of the GDP of the country. It is the fastest growing sector with ever growing concerns. Keeping in mind certain inherent concerns which the industry encapsulates, the severe credit crunch is adversely impacting the "Industry". The fact remains that Real Estate is not even recognized as an industry, although keeping in view that it promotes various other industries like steel, cement & more. It is argued that it should be treated as "Priority Sector". This will help the sector with better availability of funds. FDI & ECB norms should also be relaxed in the coming budget to ease in fund availability. From a tax perspective the budget should extend the tax holidays u/s 80IB for integrated townships. The deduction on interest on loan repayment by individuals also needs to be hiked. From an indirect tax perspective budget should address abolition of service tax for residential apartment below a logical threshold. Presence of real estate sector can be gauged by the fact that 5% of the global carbon emissions are attributable to this sector. It is only fair for real estate to get its due share in forthcoming budget. Besides covering R&D expenditure, Government should also think about helping companies to enable them to take their new inventions to the global markets. This could be done in the form of additional benefits during post R&D and pre-launch stage. IPR taxation is another area where India has yet to take any initiative. Many European Countries have 'Patent Box' schemes to provide special status to income from patents. It is high time India should take a plunge on something like that. Apart from this, the fiscal incentives in Baddi have helped a great degree to bring a lot of pharma units in the state. The benefits u/s 80-IC have a sunset clause of 31st March 2012. Government can consider extending the same. The substantial expansion clause in the section can be relaxed a bit to help small companies. As of now, there are no income tax benefits to exporters and since pharma industry contributes a lot to the Country's foreign exchange reserves, it will be good to reinstate certain benefits like the erstwhile deduction under section 80HHC. Surcharge and Education Cess were meant to be a temporary tool for tax collection but have outlived their age. Government should remove these to bring rationality into the tax structure. Further, MAT rates are very high and impact cash flows of the companies and should be brought down. This is a very informative blog for real estate investors and me also. 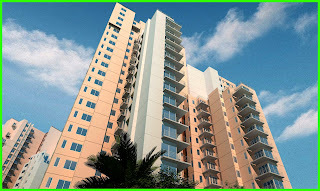 Real estate sector be first choice for investors because it's growing up very fast. 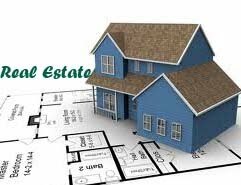 Real estate sector be a popular in people for their business profession cause of beneficial factors. The housing sector is actually one of the largest industry in many countries, especially in Texas, USA where there is a huge number of realtors who need to get their Texas real estate MCE as well. You have posted nice comment for investing money in real estates. I have got new ideas. Cheers the blog! Thanks for one’s marvelous posting! I truly enjoyed reading it, you are a great author.I will be sure to bookmark your blog and may come back from now on. We must guarantee our customers that we have something more better to offer with them. Real Estate Australia is all about finding the right property to invest with. We must ensure that we find something that will allow us to have a good investment for our business.